Writing about China as an American is always tricky, but nowhere near as tricky as what an American company faces doing business there. Let me say upfront, I don’t envy Google. The company has had more success in China than a lot of other big Valley names, but isn’t and will likely never be the market leader. And to get that far, many in the West feel Google has had to compromise its “do-no-evil” ethics by agreeing to some of the government’s censorship rules. Google has been damned either way: China is too big of a market to ignore, but getting as far as they have has come at a steep price to their reputation and international (read: Western) integrity. Enter the now famous blog post (that was notably, only on the English-language site) saying that Google was no longer playing by the Chinese government’s rules and was prepared to close down Chinese operations if it came to that. Valley elites erupted into applause on Twitter and blogs saying Google was showing more backbone than the US government and was a model of integrity for the world. 1. Google’s business was not doing well in China. Does anyone really think Google would be doing this if it had top market share in the country? For one thing, I’d guess that would open them up to shareholder lawsuits. Google is a for-profit, publicly-held company at the end of the day. 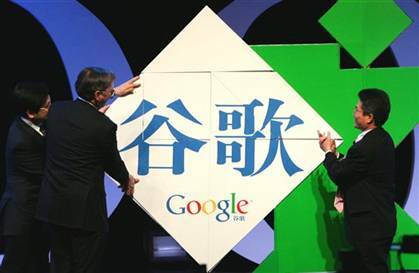 When I met with Google’s former head of China Kai-fu Lee in Beijing last October, he noted that one reason he left Google was that it was clear the company was never going to substantially increase its market share or beat Baidu. Google has clearly decided doing business in China isn’t worth it, and are turning what would be a negative into a marketing positive for its business in the rest of the world. 2. Google is ready to burn bridges. This is not how negotiations are done in China, and Google has done well enough there to know that. You don’t get results by pressuring the government in a public, English-language blog post. If Google were indeed still working with the government this letter would not have been posted because it has likely slammed every door shut, as a long-time entrepreneur in China Marc van der Chijs and many others said on Twitter. This was a scorched earth move, aimed at buying Google some good will in the rest of the world; Chinese customers and staff were essentially just thrown under the bus. 3. This is only going to be a trickier issue in the next decade. Think the Shanda acquisition of Mochi Media was an isolated event? Think again. Chinese Web companies are building huge cash hoards and valuable stock currencies and it’s still a comparatively young Web market. Increasingly, these companies could be likely buyers of US startups—not the other way around. Will the Valley’s rhetoric stick then?